SCVHistory.com LW3458 | William S. Hart in 'Singer Jim McKee,' New Colonial Theatre (Beach Haven, N.J.) Program, Week of 7-28-1924. New Colonial Theatre (Beach Haven, N.J.) Program, Week of 7-28-1924. Featuring William S. Hart in "Singer Jim McKee." Published by Star Program Co., New York. New Colonial Theatre, N.J. Click to enlarge. William S. Hart was the big attraction for the week of July 28, 1924, at the New Colonial Theatre in Beach Haven, N.J. The teater was playing "Singer Jim McKee," which it billed as "a drama alive with action." Little did anyone know it would contribute to the death of Hart's film career. It was, after all, "possibly [the] worst film the cowboy star ever made," according to biographer Ronald L. Davis (2003:180). He wrote the scenario (story) himself. The plot was incoherent, Davis writes, and Hart was too old to woo a damsel 30 years younger believably. It would prove to be his penultimate picture. Released March 3, 1924, with a New York premiere on March 23 (not sure how that worked), "Singer Jim McKee" would still have been in its first run in New Jersey in July. 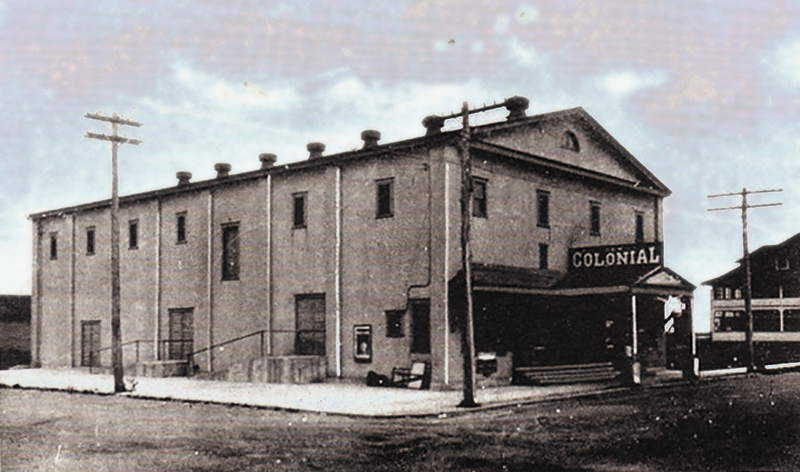 The New Colonial Theatre was just two years old, having replaced an earlier, smaller Colonial Theatre in a different location when it opened its doors July 4, 1922. "Singer Jim McKee" was on the ticket for Saturday night at the New Colonial (August 2, 1924). A different picture played every night, two showings each, Sundays dark. Earlier in the week, audiences caught Buster Keaton in his first feature-length comedy, "Three Ages" (Metro Pictures 1923). Produced by the William S. Hart Company; presented by Adolph Zukor and Jesse Lasky; distributed by Paramount; New York premiere March 23, 1924; released March 3, 1924; ©February 1, 1924; seven reels (7098 feet, later 6900 feet). Directed by Clifford S. Smith; screenplay by J.G. Hawks from a story by William S. Hart; photographed by Dwight Warren and Arthur Reeves; edited by William Shea. CAST: William S. Hart (Singer Jim McKee); Phyllis Haver (Mary Holden); Gordon Russell (Buck Holden); Edward Coxen (Hamlin Glass, Jr.); William Dyer (Hamlin Glass, Sr.); Bertholde Sprotte (Dan Gleason); Patsy Ruth Miller (Betty Gleason); George Siegmann ("Brute" Bernstein); Baby Turner (Mary, as a baby). LW3458: pdf of original program book purchased 2018 by Leon Worden. Download individual pages here.